Thank you to everyone who attended the November meeting to hear Ed Bearss speak on “Custer at the Little Big Horn.” There were 63 diners, ten who were non-members. Also attending were an additional 22 members and nine non-members to hear the presentation. Total attendance for the lecture was 94. Thank you once again for your outstanding support and interest in the Round Table. Remember to make your dinner reservation by 11 a.m. December 12th to hear Jim Ogden speak on “The Great Locomotive Chase.” Don’t forget to bring a dessert to share for the “dessert social” after the speaker’s presentation. I re-read Larry J. Daniel’s book entitled “Battle of Stones River: The Forgotten Conflict between the Confederate Army of Tennessee and the Union Army of the Cumberland”. The Confederacy referred to it as the Battle of Murfreesboro. 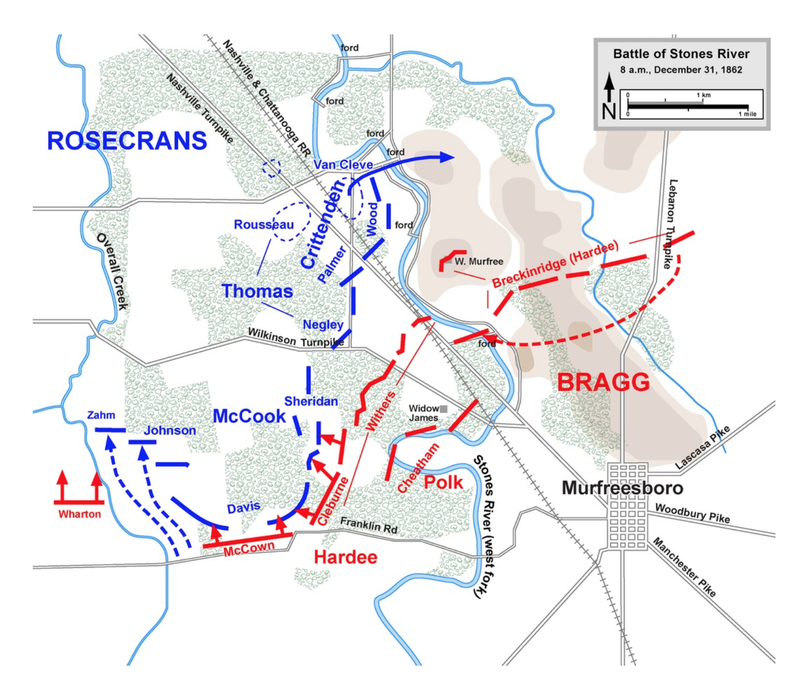 This battle was of great importance to both sides and its Generals – Rosecrans for the Union and Bragg for the Confederacy. Rosecrans needed a victory to undermine the growing antiwar movement and regain the northern army’s morale after the loss at Fredericksburg. Bragg, who was defeated in Kentucky, needed to reclaim Middle Tennessee and his reputation. 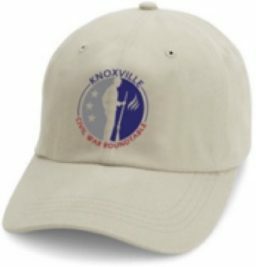 So at the end of December 1862 both armies are on the move in horrific conditions of severe rain and cold, lack of food and supplies, and mud ankle deep to secure Middle Tennessee. 100,000 men fought in deadly battle for three days starting December 31st, 1862 and resulted in 23,000 casualties by the two armies. 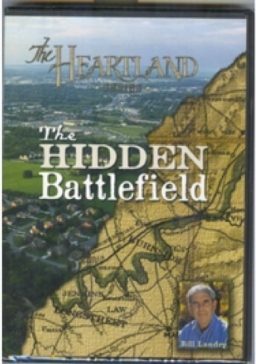 In reading Daniel’s book it is hard to understand why this battle is referred to the forgotten battle. Bragg withdrew his army from the field because he did not have the supplies or the reinforcements to continue the fight. 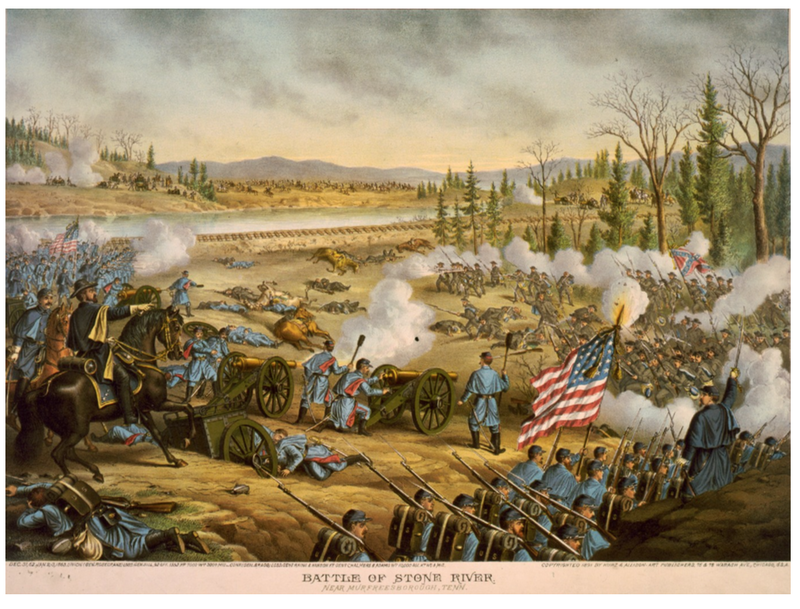 I believe that Bragg and his army acquitted themselves well at Stones River but none the less it is considered a Union victory and another loss for Bragg. The Union did hold Middle Tennessee and Rosecrans’s star was on the rise. Let us not forget that Lincoln’s Emancipation Proclamation went into effect January 1, 1863 with the support of a win at Stones River. Lincoln would write to Rosecrans: “I can never forget, whilst I remember anything, that about the end of last year and the beginning of this, you gave us a hard earned victory, which had there been a defeat instead, the nation could scarcely have lived over.” Lincoln certainly understood the importance of this battle to his cause to continue the war. 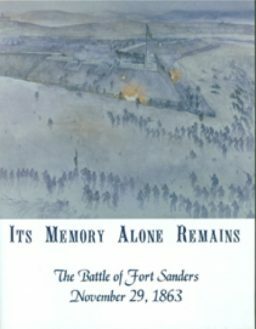 This may be the best book on this battle and I would encourage you to read it. Maybe you will be able to answer the question of why this has become the forgotten battle. “Hell’s Half Acre” at the Round Table’s monthly meeting January 10, 2017. Lewis’ thoughts and insights on this battle.